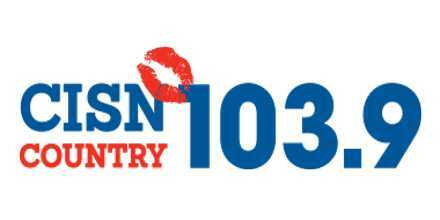 CISN Country 103.9 (CISN FM) is a country music radio station broadcasts from Edmonton, Alberta Canada, providing Top 40 and Classic Country music. The station has a country format, playing both current hits and past favorites. The station has been renowned five times by its peers at the Canadian Country Music Awards (CCMA) as the Major Market Radio Station of the Year. It is owned by Corus Entertainment, which also operates CHED, CHQT, and CKNG-FM. CISN is one of the longest Edmonton broadcasting stations on FM. CKNG’s studios are located on 84th Street in downtown Edmonton, while its transmitter is located near Anthony Henday Drive in eastern Edmonton. In December 2014, CISN 103.9 was the fifth most listened to radio station in Edmonton. CISN FM is proud to present sold-out shows in Edmonton like George Strait & Keith Urban, along with promoting high profile events like the Canadian Country Music Awards Show and The Canadian Finals Rodeo each November. Country music continues to grow in popularity with all age groups and helps make CISN Country 103.9 Edmonton’s number one country music radio station and the city’s longest consistent format. Shows: Chris Sheetz, Middays with Mike McGuire, The Waking Crew etc. 103.9 CISN COUNTRY (CISN-FM) is Edmonton’s country music radio station playing today’s biggest country artists such as Tim McGraw, Lady Antebellum, George Strait and Jason Aldean. This station three Time Canadian Country Music Radio Station of the Year Award winner, CISN plays today’s biggest country artists like Tim McGraw, Shania Twain & Toby Keith along with hits of yesterday by artists like Garth Brooks, Clint Black, and Alabama. Hosts: Lindsay Rae, Chris Sheetz, Gregg Reynolds, Mike Mcguire, Chris Scheetz, Sean Burke, Leslie Stein, Scott Hackman, Randy Marshall, Andrea Taylor, Kelsey Campbell and Chelsey Jensen. CISN-FM was the winner of the Canadian Country Music Association’s Annual Country Station of the Year (Major Market Category) five times since the award’s 2000 creation, having won in 2003, 2004, 2009, 2010, 2012 and 2016. Social Contact: Facebook, Twitter, Youtube, Instagram, Website. Chelsey Jensen- Digital Content Coordinator. Liveonlineradio.net has CISN Country 103.9 Radio in its listings. Just click and enjoy. 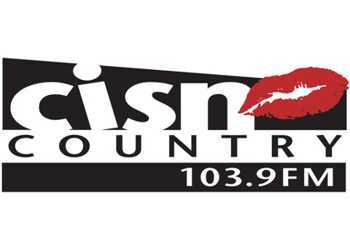 CISN Country 103.9 – www.liveonlineradio.net/canada/cisn-country-103-9.